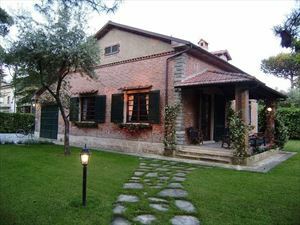 Villa del Sole is a single villa surronded by a large garden of 1500 mtq, in which trees conserve the silence and peace of the natural envoronment. 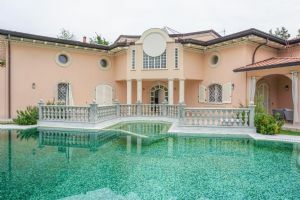 The villa is located 900 meters from the center of Forte dei Marmi in Victoria Apuan area, the beaches of Versilia are instead about 800 meters. ground floor: large sun terrace as external lunch room,kitchen,dining room,salon,1 double bedroom,1 bathroom. The first floor is envolved in 4 double bedrooms with own bathrooms. 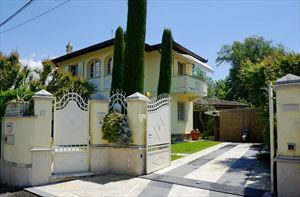 The propriety is controlled by an allarm system and automatic gates permit the entrance.